Camp Crystal Lake has been haunted for years by Jason Voorhees. 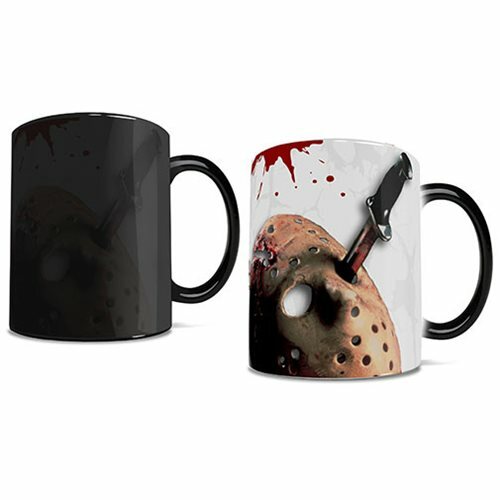 In case you've forgotten, just add hot liquid to this Friday the 13th Crystal Lake Morphing Mug and you'll be reminded of the gruesome legacy that is Friday the 13th! This 11-ounce Morphing Mug transforms from black as hot liquid is added! Watch as the heat-activated process reveals the hidden image in full vivid colors! Hand wash only. Not dishwasher safe. Ages 14 and up.